Husqvarna Group is a global leading producer of outdoor power products and innovative solutions for forest, park and garden care. Products include chainsaws, trimmers, robotic lawn mowers and ride-on lawn mowers. The Group is also the European leader in garden watering products and a global leader in cutting equipment and diamond tools for the construction and stone industries. The Group’s products and solutions are sold under brands including Husqvarna, Gardena, McCulloch, Poulan Pro, Weed Eater, Flymo, Zenoah and Diamant Boart. The Analyst at Husqvarna will provide an objective, trusted view of the market and its potential impact on Husqvarna thereby empowering others to drive actions that grow our business. You provide actionable consumer/marketplace insights and recommendations to the Marketing, Product Management and Sales teams. You’re a critical thinker and enable fact-based decision making through design and analysis of studies that address key business needs. • Collaborate with Husqvarna business leaders across multiple functions. 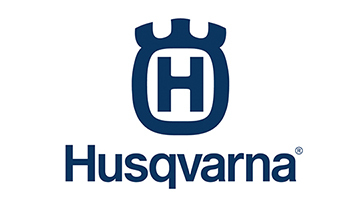 • Understand and take account of Husqvarna’s market, business strategy and goals to provide insights and thoughtful direction to broader marketing, product and sales team. • Provide compelling, fact-based findings through organizing and extracting data, information and insights from various sources and methods including primary and secondary research, competitive and market opportunity analysis. • Communicate findings and recommendations in a clear and concise manner that enables action. • Very strong analytical and story-telling capability, ability to translate data into actionable marketplace insights. Displays a keen ability to keep the end in mind when designing research solutions. • Strong interpersonal and communications skills, ability to build working relationships across Marketing, Product and Sales organizations. • Desire and ability to quickly learn. • Represent Husqvarna in committee and association meetings where applicable. • Liaise with Global insights team to support, gather and disseminate data, research and insights, act as local point of contact for any research support/requests. • BA/BS degree, preferably in Marketing, Business, Economics, Math/Statistics. • Strong knowledge of syndicated and shopper data and insights analysis. 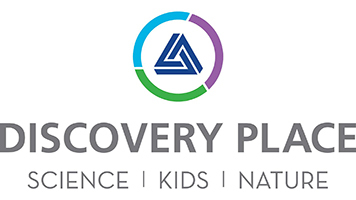 • Proven ability to define problems, collect data, establish facts and draw valid conclusions using the appropriate and creative application of analytic methods. • Proven ability to work with mathematical concepts such as probability and statistical inference. • Proven ability to apply concepts such as fractions, percentages, ratios and proportions to practical situations. • Demonstrated ability to effectively manage multiple priorities simultaneously and meet compressed/critical deadlines in a fast-paced environment. • Good numeric and statistical analytical skills. Ability to synthesize, interpret and communicate market and competitive data. • Strong organization, time management and problem-solving skills. • Ability to work in a global matrix structure. • Excellent verbal and written communication skills, as well as teamwork and interpersonal skills, to include the ability to develop high-quality working relationships both internally and externally with customers and suppliers. • Demonstrated ability to be flexible and adaptive to internal processes and change, delays or unexpected events. • Proficiency at the intermediate to experienced level in MS Office software applications (Word, Excel, PowerPoint, Project). • Ability to maintain confidentiality regarding proprietary company information.